I recently worked through Project 333 and created a capsule wardrobe. 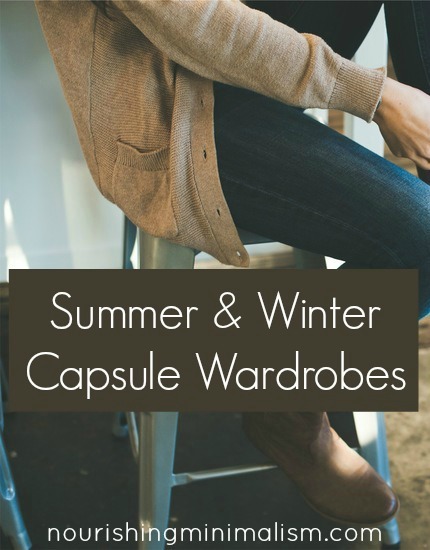 As promised in my previous post about creating a capsule wardrobe, here are my seasonal lists. When it came to creating my list… we live in Montana. We pretty much have 2 seasons: “Cold”, which is generally between 20° and 30° with about a week below zero and then we have the “It’s-so-hot-I-think-I’m-melting” season. But the weather doesn’t behave itself here, it does whatever it wants. For example, this last spring we had an 80° day followed by a 30°-and-3-inches-of-snow day. So, I’ve broken my clothing down into 2 lists, but I’ll keep all of them in the closet, because it’s Montana- you never know what the weather is going to be like, that, and I have plenty of room for all my clothes, no need to box them up. So, yes, I have more than 33 items of clothes in my closet, but less than 33 for each season. If you’ve been thinking of doing a capsule wardrobe- I’d definitely recommend working your way through Courtney’s capsule wardrobe course. I was inspired and ended up getting rid of 13 items that didn’t need to be in my closet. I have been enjoying your site. I started trying project 333 last spring when we were away for a month. I have been dabbling ever since. I really stuck to it from Jan to March. Every morning was so easy with just a limited selection of clothes. My challenge was that at the end of a couple seasons the clothes are worn out. So far I have just thrown away the worn out clothes and found more in my closet. I am not a shopper and replacing clothes every season seems a chore. The spring was a challenge as I have weather like yours freezing/hot. I just found my box of summer clothes and was excited to try again with fresh items. I was never bored in one season but when winter clothes dragged into spring I was tired of the same outfits. I’ve been thinking about this too Carol. I feel like we are so concerned about “getting deals” that it’s very challenging to find clothes that actually last. I need to research more on brands, fabrics, etc. Because I think our clothes should last several seasons. For me, it’s less about the quantity of items, and more about simplifying style. I like to have a few of one type of item, so I’m not doing laundry as often and items don’t wear out as quickly. For example, 4 pairs of jeans will last twice as long as 2 pair, and there are fewer half loads of laundry being run. I have been thinking about this for a while. Thanks for your insights into Courtney’s program. Like you, I don’t think of myself as having a lot of clothes, but I think the program would help me better coordinate the items that I do have. That’s how it is in Florida. Only minus the snow and 30. It’s either 95+ on hot days with 50 the next. It’s crazy. Luckily I think we are hitting the “it-just-plain-hot” days. So what I did was keep my winter in a bin but still in my room while I was working through my new summer. Now as it’s warming, I can put away things. Yup, doing Project 333 myself. I’m struggling with the balance between my office dress code and casual wear. I don’t seem to have many items that serve both. And jewelry. Sheesh, I own a lot of jewelry. Narrowed the summer wardrobe to about 1/4 of my clothes, another 1/4 stored for winter, and the final 1/2 to donation (mostly “some day” clothes). There was so much more than I thought! You don’t wear any other pants except jeans ? Don’t you wear boots in the winter ? I ordered the course. How does it come to me? I have 5 work skirts and 5 tops that go with all of them, plus 2 pairs of winter trousers, both of which go with all five tops. I have only black socks, so I don’t need to match. For colder weather I have a cardigan as well as a jacket, hat, scarf and 2 pairs of mittens. For weekends/dirty jobs I have an old skirt and 2 tee-shirts I got as promotions. Footwise, sneakers, winter boots, i pair sandals, one pair good shoes for work. Also knickers, 2 bras and a summer and winter nightdress and a pair of green fleece socks I wear in bed with it is cold, and a dressing-gown and a rain coat. Life is very easy this way. I love the simplicity in minimalism and just getting rid of the extra stuff! 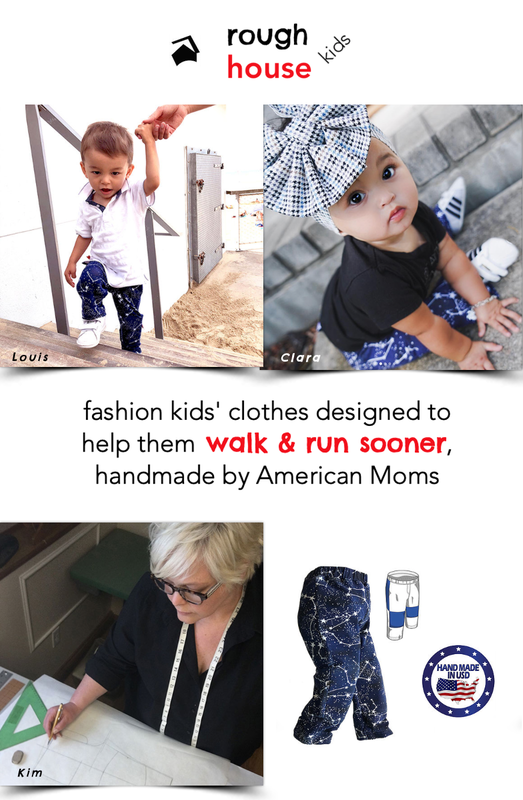 Do you have a similar capsule wardrobe for children, specifically preschool children? I live in Canada, cold, cold winters and a very hot summer. I would love to see a picture of what this might look like! I tend to be a visual learner and you’ve been so inspiring this far, but it would get me excited to see what this could look like. Hi Janet! 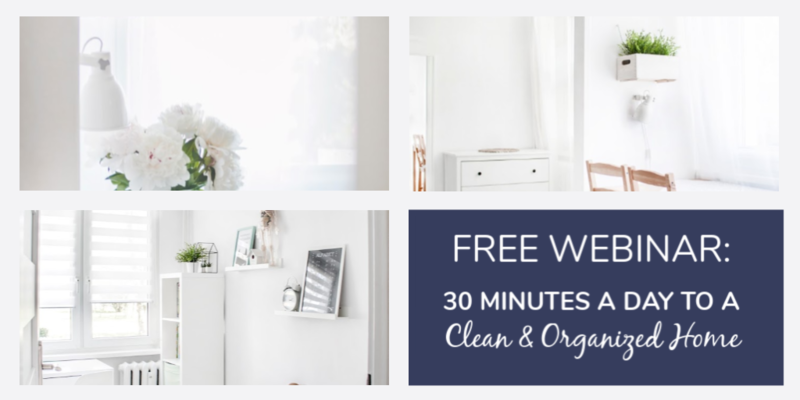 I’ve been living with a capsule wardrobe for years and have posted images of some of them on one hundred hangers wordpress blog. Hope it’s helpful.